For a candidate that more than 60 percent of Americans believe should drop out of the Republican primary race, presidential hopeful Ron Paul arrived at Ritchie Coliseum to a welcoming crowd of nearly 2,000 with even more supporters waiting outside. By 6 p.m. Wednesday, a line of people sporting Ron Paul 2012 t-shirts and carrying homemade signs with phrases such as “The Doctor is in” and “Welfare + Warfare = Bankruptcy” snaked from the entrance of Ritchie to halfway around the perimeter of the Fraternity Row fields. Local residents and college students from this university and other area schools packed the venue, and some were turned away at the doors as the arena reached capacity. 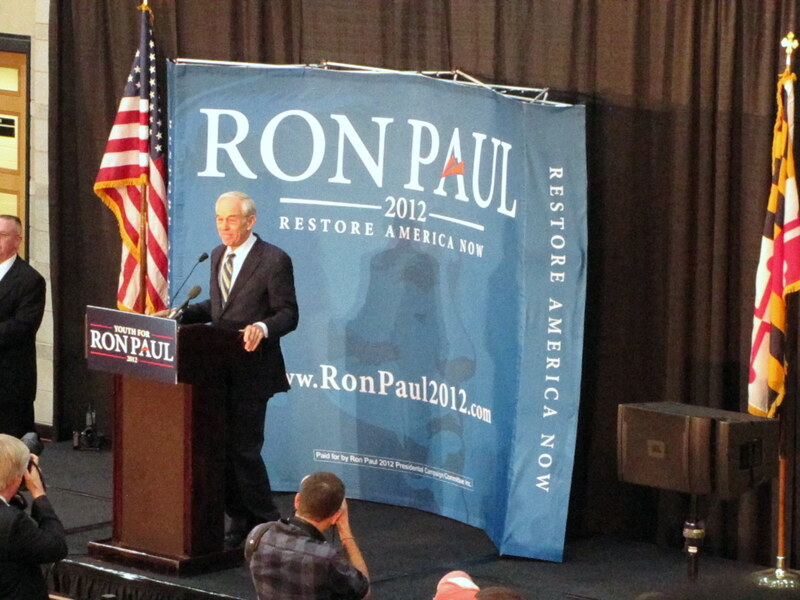 Paul was greeted by chants of “Ron Paul revolution! Give us back our Constitution!” and “End the Fed!” as he stepped onstage. The audience applauded and cheered enthusiastically as Paul discussed his trademark points — ending the Federal Reserve, shrinking the government and reducing spending — issues some people, such as senior economics major Christopher Brown, find extremely relevant to college students. Martina Beshai, a senior government and politics major, cited several other reasons why college students might agree with Paul’s views. In addition to those who came out to support Paul, others, like Beshai, came simply to learn more about him as a candidate. “As an American citizen, to make an informed decision, you need to learn as much as possible about candidates,” Beshai said. Journalism major Blanca Bejarano came for the same reason. Not all students who came to Wednesday’s event supported Paul’s platform, but many agreed that he is a likeable candidate for one key characteristic: integrity. As for the people who think the last-place candidate should drop out of the race, Paul encouraged voters to remain positive, saying that the revolution was far from over. “They haven’t counted all of the votes yet,” Paul said.